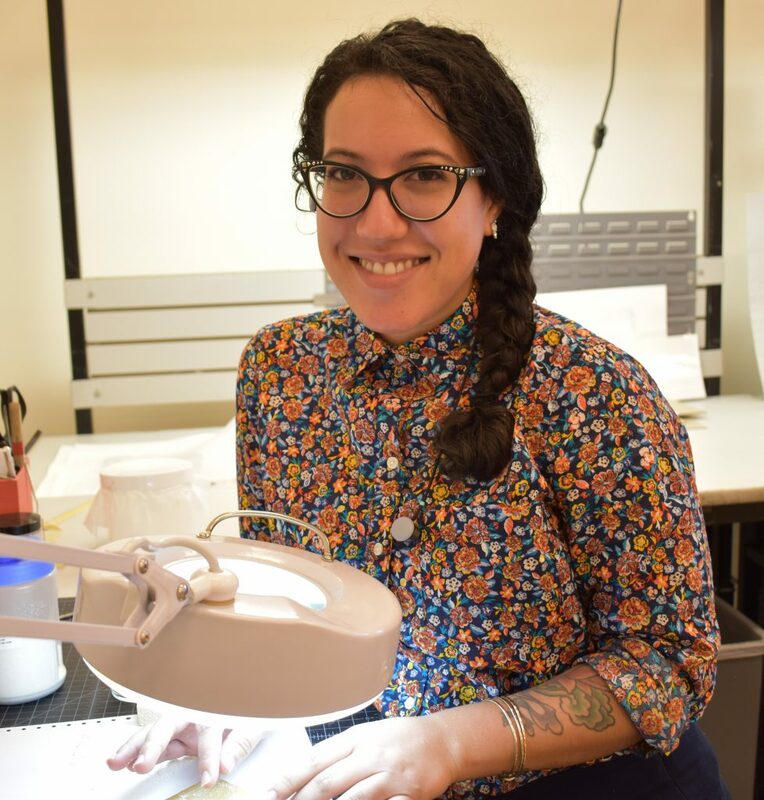 Keala Richard arrived In November at the Smithsonian Libraries Preservation Department as its newest member. She applied for the position of Conservation Technician assigned to work on the Libraries’ general collections. When we met with Keala through a video interview scheduled for her at 4:00 a.m. to accommodate the time difference in Hilo, Hawai’i, we could see she was serious about her willingness to take on the job. Keala, who then worked as the branch manager at the Kealakekua Public Library, told us about her life-long interest in Preservation despite the fact that working with us meant leaving the somewhat isolating professional work on a Pacific island. Keala says a combination set her on the path toward seeking a career in conservation, including: a strong sense of native family history in the Hawaiian Islands; the supportive roles of librarians throughout her education; and the influence of conservators portrayed in popular culture (at a very young age, she found Sigourney Weaver’s role of a paintings conservator in Ghostbusters 2 mesmerizing). 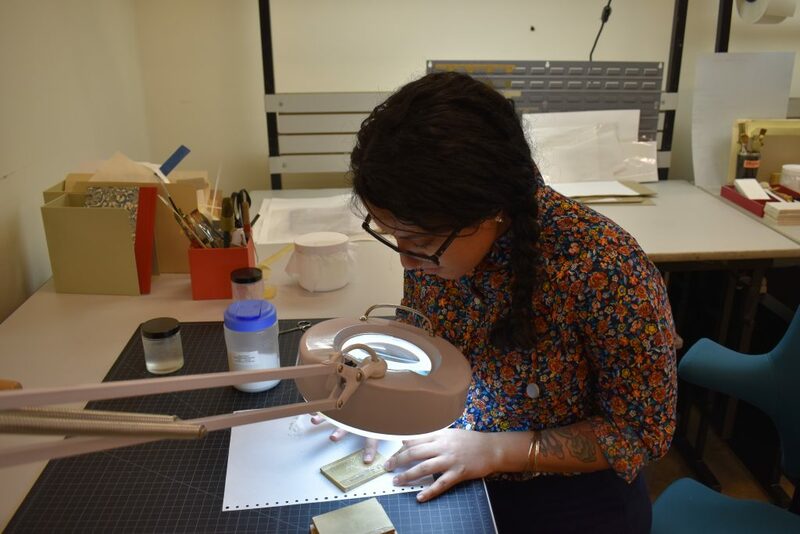 As an English major in college, Keala performed independent research in historical collections worldwide, something only accessible to her through books and the internet. The assistance and encouragement of librarians inspired her to pursue her MLIS from the University of Hawai’i at Manoa; where she holds a certificate focused on Archives and Special Collections with additional coursework in Preservation. 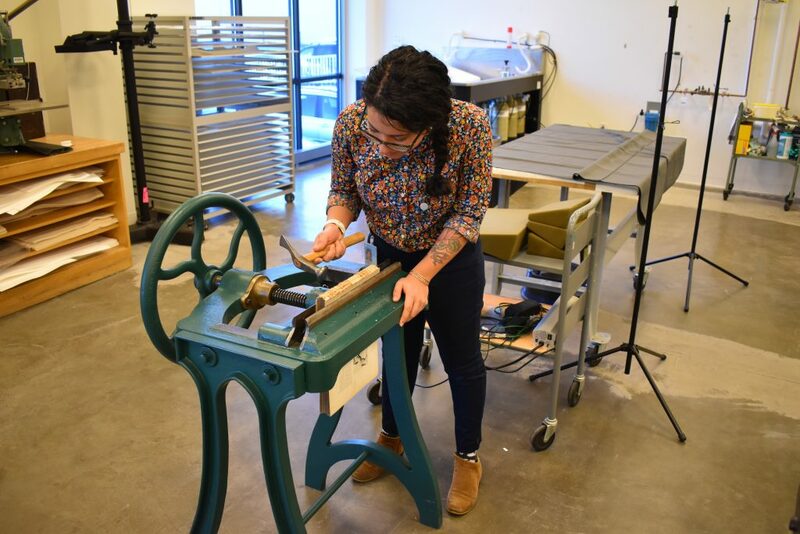 During her time in graduate school, Keala was accepted as an intern at the Smithsonian’s Freer Gallery of Art and Arthur M. Sackler Library where she worked with Kathryn Phillips as part of the Minority Awards program. Exposure to a museum library system opened up another perspective for her, developing a growing appreciation of the work performed by libraries promoting access to both local and global research. Keala returned home and upon graduation was hired by the Acquisitions Department of the University of Hawai’i Law Library. Since there was no preservation department there, Keala got what experience she could. She received some training in basic preservation skills and, when time permitted, was proactive in giving care to their collections that were in most need. Knowing Keala, we have no doubt that her passion to promote access and preserve information for future generations served these collections well. She says, “The intersection in interests of my native Hawaiian history and Western culture brought me to Washington and the Smithsonian. I hope that with developing skills in library conservation I can return home to share resources and approaches to help and inspire others.” In the meantime, since she has moved to Washington, Keala has discovered Hālau Nohona Hawaiʻi, the Hawaiian cultural school in Silver Spring, where she is participating in classes offered in hula, language, chant, protocols, music, and history. Awesome! Great to know you!!! Ho’omaika’i e Ke’ala! Ha’aheo nui no ‘oe!